All of our donations end in 87 to honor our friend, because his favorite Patriots player is #87 - Rob Gronkowski! 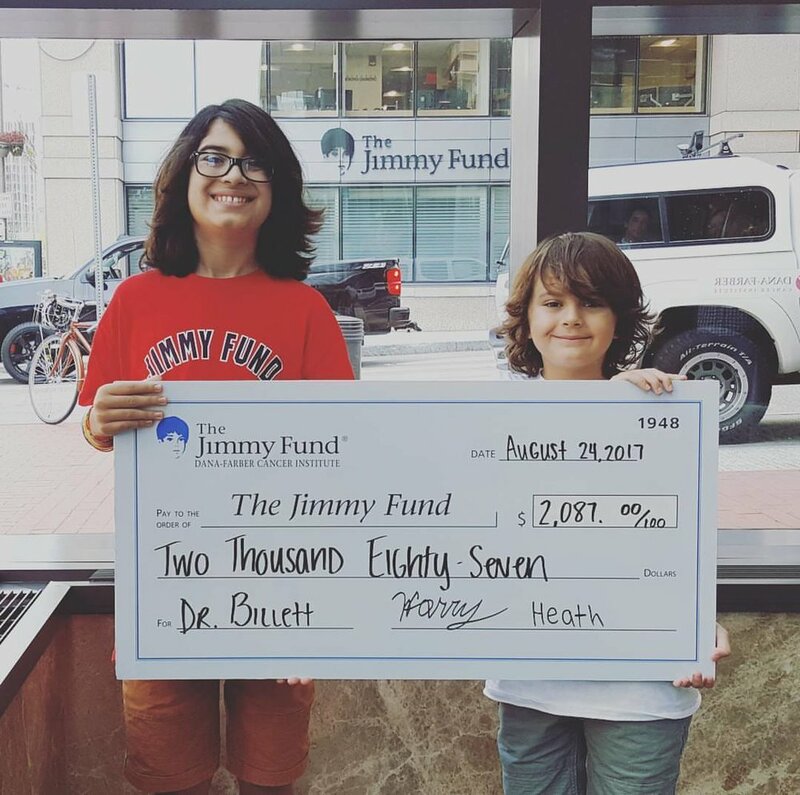 Our mission at Bennett Brothers Balm is to raise money for children's cancer research and bring awareness to the bravery of those fighting this difficult disease every day. To date we have donated more than $35,000 to cancer research, with over $11K of that going specifically to pediatric blood cancer research at Dana-Farber Cancer Institute. We are continually looking for ways to keep our operating costs down in order to maximize the profits that we can donate, all while producing high quality, all-natural products that we feel good about! Dana-Farber’s Donor Appreciation Night at Fenway, September, 2017 with our friend, Brendan. Our first donation to the Dana-Farber Stem Cell Transplant Program.